Item # 317226 Stash Points: 2,495 (?) This is the number of points you get in The Zumiez Stash for purchasing this item. Stash points are redeemable for exclusive rewards only available to Zumiez Stash members. To redeem your points check out the rewards catalog on thestash.zumiez.com. A fun tee for any laidback look, Artist Collective presents their Big Bull White T-Shirt. 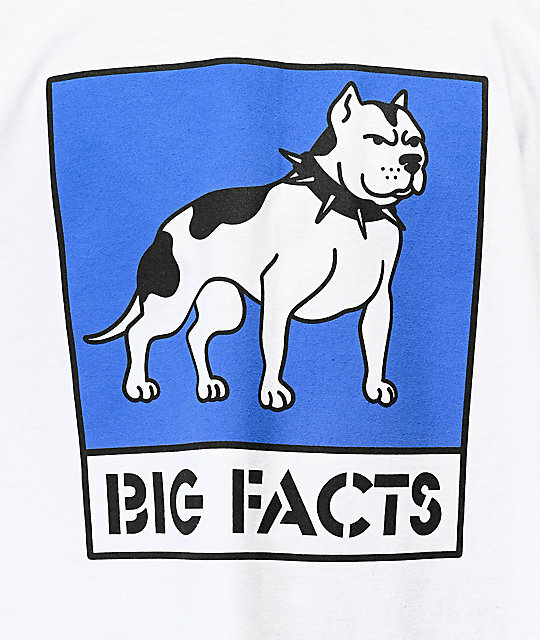 This lighthearted tee features a large graphic of a spiked collared wearing American Bully that's accompanied with the phrase "Big Facts" below the image. 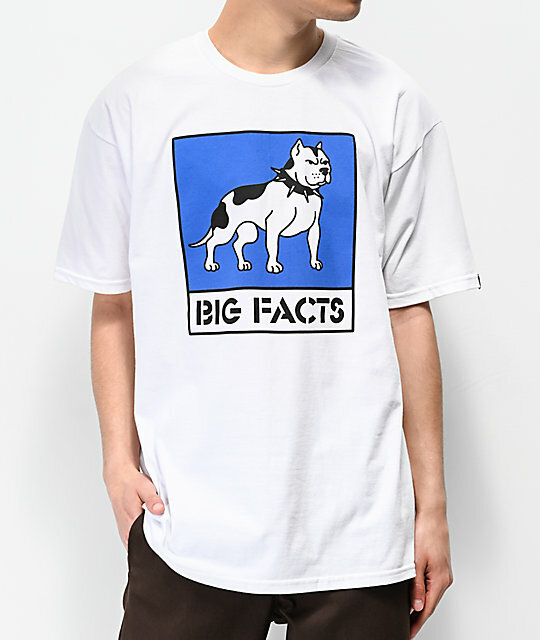 Big Bull White T-Shirt from Artist Collective. Brand tag on left sleeve.